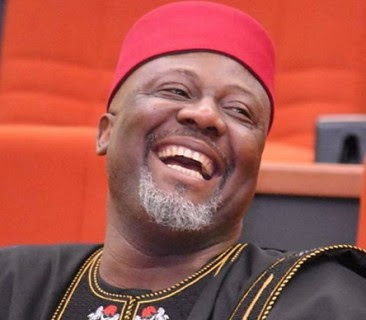 Embattled Senator Dino Melaye has spoken out from abroad after reports emerged online on Saturday and Sunday that he had fled Nigeria and vowed not to return to the country until there is a new government in Aso Rock, Abuja, as well as a new one in his home state of Kogi. What is really going on with Dino? Relying on sources, SR reported that the embattled Kogi West Senator fled Nigeria, and is prepared not to return until there is a change of governmen. According to the publication, Melaye also warned the Senate President, Bukola Saraki, and other senators to fight for him, failure of which he would bring down at least 30 senators, adding that the lawmakers held a meeting on Saturday afternoon to discuss the threat, while slating another for later in the day. In a swift reaction to the story, Senator Melaye, in a statement sent to PT, said he had no reason to flee the country, and accused SR which published the report, of spearheading a blackmail against him. The lawmaker who said the report was not true, however, did not give details of his engagement outside the country, having confirmed in a letter on Friday that he was abroad. He also did not state when he plans to return to Nigeria. His words; “For the records, I did not flee Nigeria and have no reason to flee my country leaving behind my family as the online paper wants Nigerians to believe. My attention was drawn to their lies this night, hence this public statement, lest the unsuspecting members of the public and my supporters believe the lies by Omoyele Sowore as directed by his new paymasters." Earlier on Friday, in a five-page letter written by his counsel, Rickey Tarfa, Senator Melaye asked the Inspector General of Police, Ibrahim Idris, to intervene in the rough relationship he is having with police officers. The lawmaker said he was ready to submit himself to the police on the condition that he is investigated by police officers from Abuja, and not Kogi. In the statement, however, he accused the police of being culpable in hatching the plan. “For the avoidance of doubt, I have not received any court summon either in person or by proxy in my house or office for me to appear on March 28 as being insinuated by the police regarding the latest allegation against me. “The public will recall that on Thursday, March 1, 2018 when the Federal Government arraigned me for allegedly given “false information” to the police in a case of failed assassination plot against me, at the FCT High Court in Maitama, Abuja, SARS operatives from Kogi State Police Command laid siege on the court premises in order to prevent me from enjoying my bail with the intention to kidnap me to Lokoja to be poisoned, although it turned out to be another failed attempt on my life. Apart from his problems with the police, Senator Melaye faces a recall from the senate as the electoral commission, INEC, on Friday, released a new timetable for his recall which had been stalled since last year based on a High Court ruling.